City driving is rising, and it’s risen high. 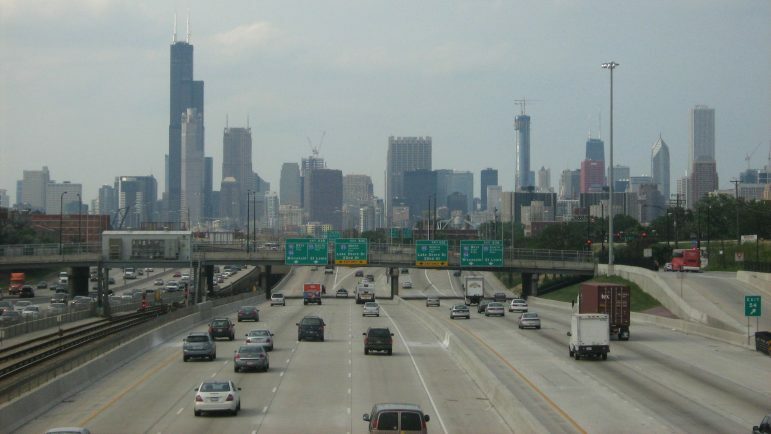 Researchers Brandon Schoettle and Michael Sivak found a 33-percent rise in city driving over the past 17 years. This mirrors a 19-percent growth in the U.S. population. The study found a widening gap between urban and rural driving, with rural driving falling by 12 percent since 2000. This dramatic growth in urban driving and decrease in rural driving left the professors in disbelief. It isn’t that everyone who stopped driving on rural roads began driving on urban roads. Those who spent a lot of time driving in cities were actually driving more than they used to. The study attributed some of the increase in urban driving to the growth in the country’s population. However, as the study notes, this factor alone can’t fully account for the divergent patterns in city and country driving. “Basically, after the first few years, there was a big separation where urban driving started to accelerate and take off — rural driving slowly decreased little by little each year,” Schoettle said. One reason for the divergence in driving was the rise in gas prices. In 2003, when gas prices made a permanent jump to the mid-$2-per-gallon range, the divide in rural and urban miles began to split. While a price like that now feels normal, 15 years ago it was thought to be high. The study’s graph of driving trends has some noticeable dips and peaks. In 2008, both urban and rural driving trends dropped. This was due to the economic recession at the time. “I expect at some point, there will be a leveling out of rural driving. There has to be a minimal amount of driving for work and business in those areas,” Schoettle said. Other factors at play are the 2000 and 2010 censuses. With urban areas in the country growing, both censuses led the Federal Highway Administration to reclassify many roads in those areas. The Federal Highway Administration classifies roadways by their proximity to urban and rural areas. Urban boundaries are defined as “areas of high population density and urban land use resulting in a representation of the ‘urban footprint.’” Rural areas are all territory, population and housing units located outside of urban boundaries. All roads contained within or outside of those boundaries are classified as urban or rural respectively. And when the census calls for reclassification, almost every reclassified road becomes urban. “It’s very rare for any roads to change from urban back to rural,” Schoettle said. With such a dramatic shift in direction for drivers, the numbers could act as a guide for how traffic engineers in growing cities like Minneapolis or Chicago prepare for the future. For cities that haven’t seen much change in their population, the growing numbers may not change how they do their work. “Lansing’s population hasn’t seen any big changes in population, so there hasn’t been any change in how much drivers are using our roads,” said Andrew Kilpatrick, a transportation engineer with the city of Lansing. Rural and urban transportation agencies seeing shifting driving trends should build for what is ahead, Schoettle said. That means if you’re rural, design for a suburban road. If you’re suburban, design for an urban road.